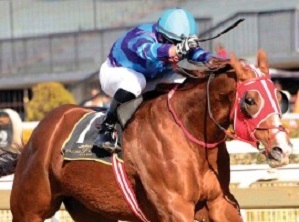 Singapore – Former South African runner Noah from Goa will jump from centre field in Sunday’s Dester Singapore Gold Cup at the Kranji Racecourse after drawing barrier No 8 in the field of 16. Shouldering responsibility for picking the stall number was Nooresh Juglall, familiar to SA racing fans, who will be aboard Noah from Goa for the running of Sunday’s third leg of the Triple Crown. 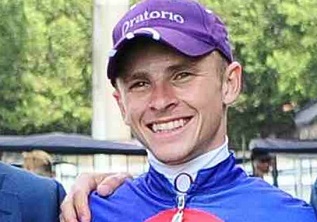 Further South African interest in the race is jockey Grant van Niekerk flying in to ride Twickenham in the big race for leading trainer Stephen Gray. The Singapore Jockey Club granted the Hong Kong-based rider a one-day visiting jockey licence for the meeting. Van Niekerk currently lies 10th in the Hong Kong championship log with eight winners. 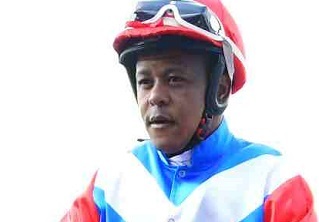 Commenting on his draw for the former Mike de Kock charge, Juglall said: “Noah From Goa got a nice barrier. His last gallop was good, he’s won over 1800m and the 2000m should be even better for him. With the race being reduced to 2000m from 2200m, there is a shorter run-up to the first bend, which has placed a bit more emphasis on the draw this year. 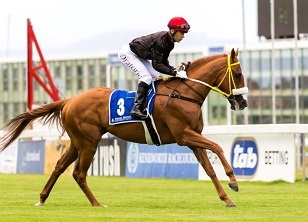 Noah from Goa is one of four Ricardo le Grange-trained entries in Sunday’s R13.5-million race, with the others being Majestic Moments, King Louis and reserve runner Mighty Kenny. Former South African jockey Barend Vorster drew gate No 7 for his mount, Majestic Moments. Majestic Moments is a regular bridesmaid in feature races, the latest being his closing second to Debt Collector in the QEII Cup. 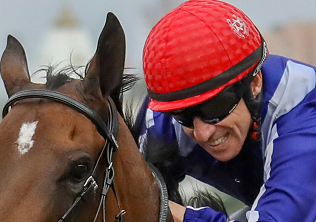 Debt Collector, winner of the first two legs of the Triple Crown, will not be in action on Sunday after trainer Cliff Brown opted to enter only one horse – Elite Excalibur – who gets to jump from gate No 2. Commented Le Grange, yet another South African: “I’m happy with the draws. Majestic Moments and Noah From Goa have drawn in the middle next to each other and from there, it gives both more options. A lot will depend on the pace and the state of the track. I think Noah From Goa will stay, with a bit of luck in the running he’ll be there, and ditto for Majestic Moments. King Louis’s owner, Steve Levar, was the one who pulled marble No 13. The former Singapore Turf Club race caller and now iRACE Magazine boss was in two minds on the outcome. “It’s a 2000m race and the barriers are not all that critical. Ideally, he should have drawn wider so he can drop back on the fence,” said the Australian. Australian trainer Lee Freedman pulled out the ace for Circuit Land and nine for Singapore Guineas winner Mr Clint. “I’m very happy with No 1 for Circuit Land. He’s the topweight and he’s never gone over 2000m, he will need a soft run and barrier No 1 will help him,” said Freedman of the Hong Kong-owned US-bred. “He’s come close in the QEII Cup which is over 1800m, but it’s a handicap race this time. I don’t think he’s been in a handicap race for a long time. 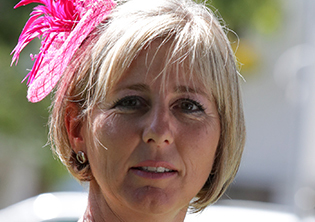 Apprentice jockey Troy See was more than pleased with gate three for Claudia’s Beauty. Trainer Leslie Khoo, former top jockey, hopes to break his duck in a feature race in Singapore in 11 years of training at Kranji. Gray fields a foursome in Twickenham (4), Sky Rocket (5), Lim’s Magic (16) and Bahana (17). “I think four is good for Twickenham as he’s a horse who likes to run on the speed,” said Gray. Shane Baertschiger, who trains and owns Preditor, said his horse “will be back in midfield. If he gets the right run, he will be in with a chance” after drawing at six. His assistant trainer, Scott Bailey, was less complimentary of his own hand later on. “It’s not my best work,” said the Australian former jockey after he dipped his hand in for Blue Swede and came up with gate No 14. Trainer Daniel Meagher downplayed the draw after picking gate 15 for Secret Win. “It won’t really matter that much. He’s a horse who gets back, anyway. Trainer Michael Clements’ assistant, Michael “Chopsy” White, did his best to find a positive spin after drawing 18 for McGregor. Even worse off is Elite Invincible. “It’s a bit of a shock,” said trainer Mark Walker after getting No 19. “He didn’t have the best prep and now he gets this wide barrier. I can only hope for a bit of luck in the running.